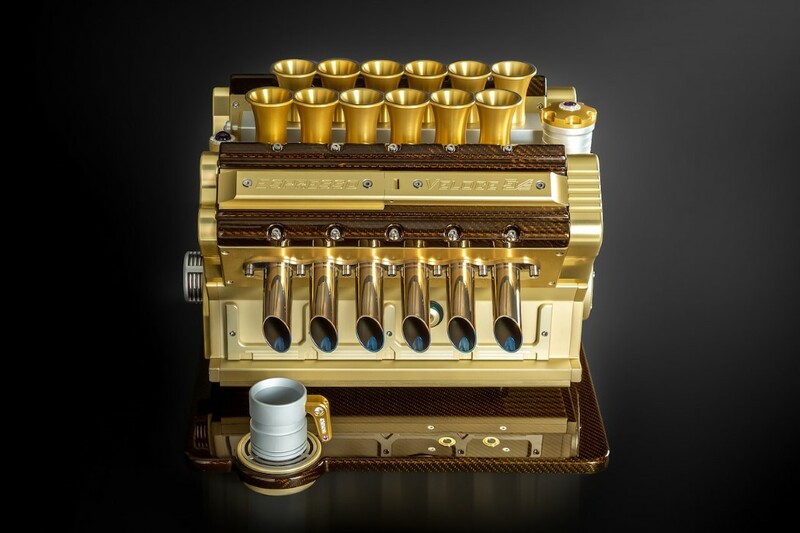 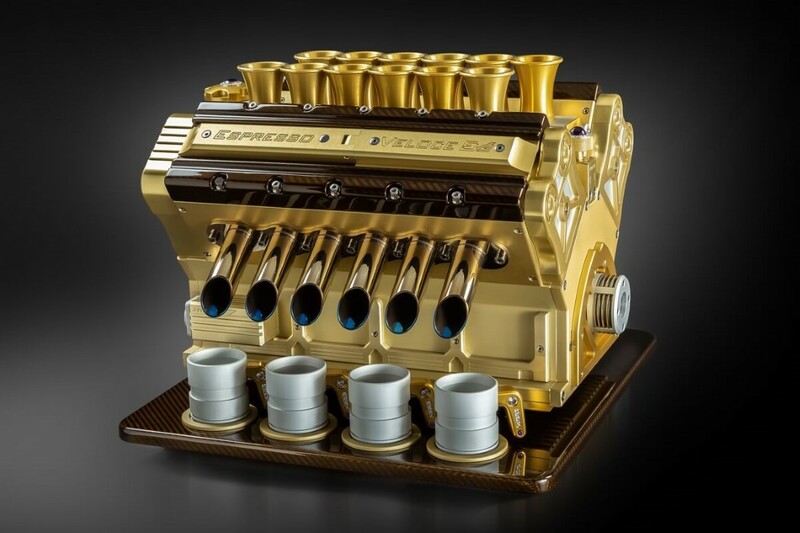 The Espresso Veloce Royale 01 literally makes the richest cup of coffee ever. 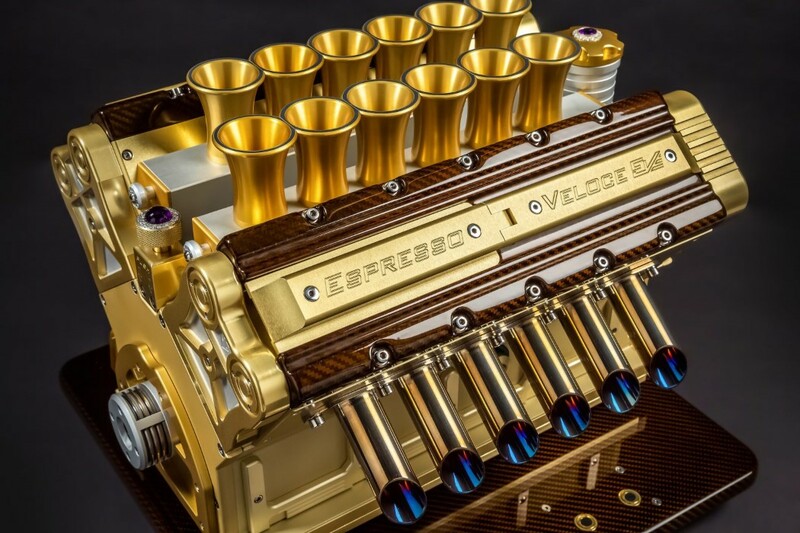 Where else would you find a V12 engine being used to brew espresso? 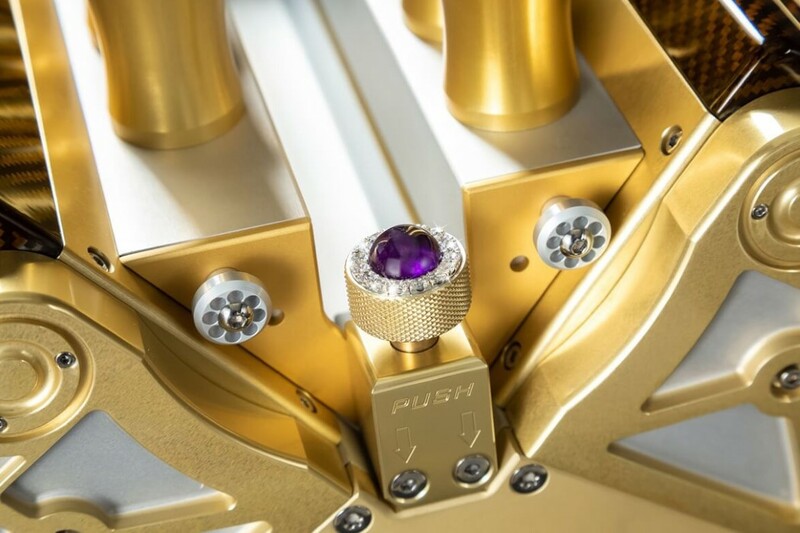 Or rather, a V12 engine crafted from real 18-carat white gold, diamonds, thermoset gold leaf carbon fiber, and two stunning royal purple amethyst gems. 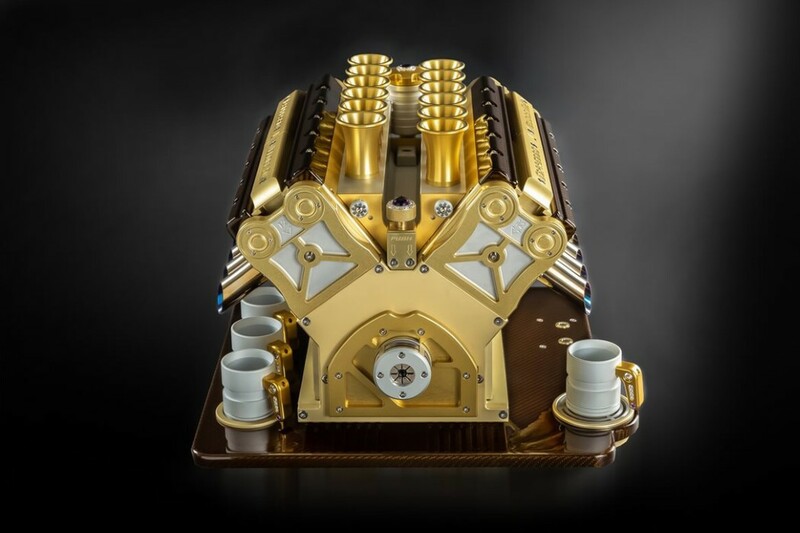 Clearly made for refined tastes (and refined wallets too), the limited edition coffee maker is the latest in Super Veloce’s outrageous engine inspired coffee maker arsenal, and to be honest, it outdoes the rest. 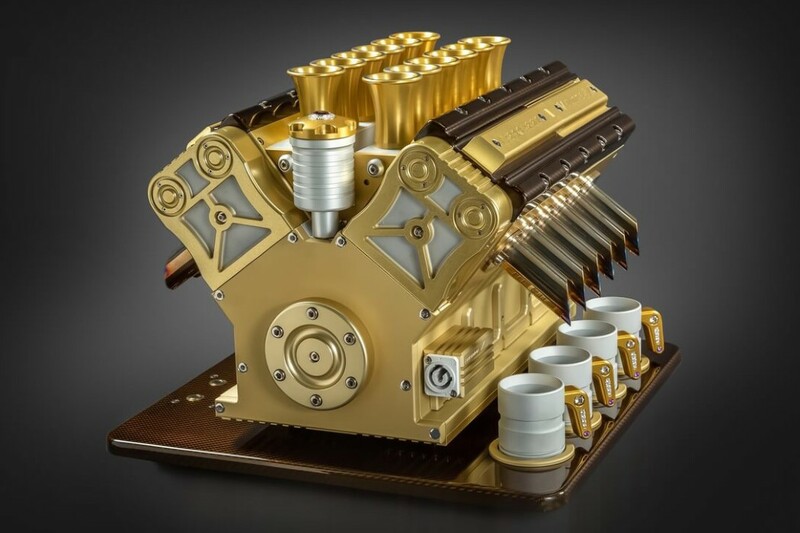 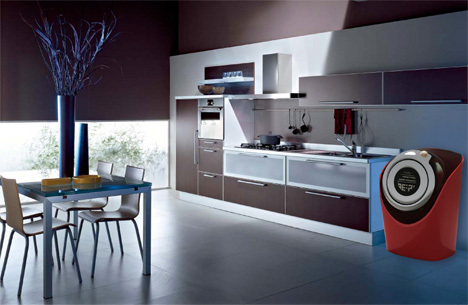 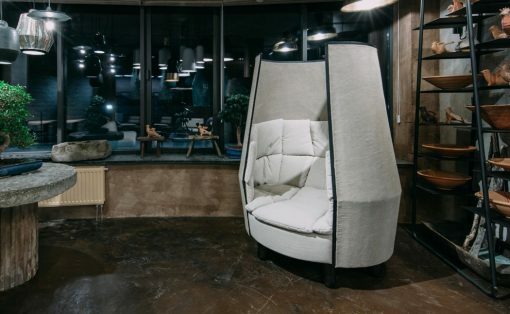 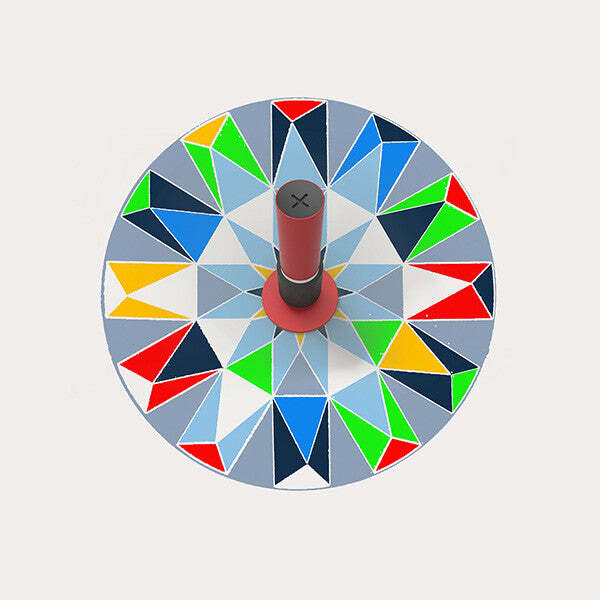 Engineered in Germany, the coffee machine works with sheer precision to deliver your perfectly made single-serve cup of espresso that should quite literally power you through your entire day. 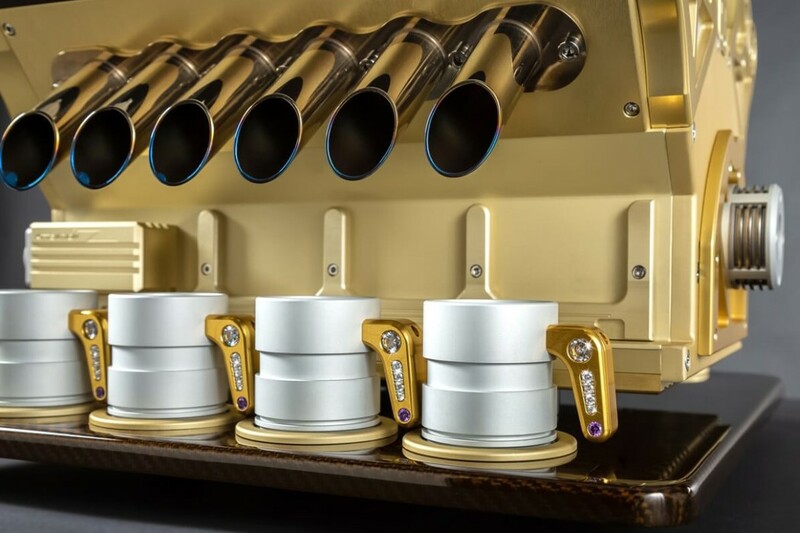 The Espresso Veloce Royale 01 also comes with 4 complementary espresso cups, because frankly having to pay extra for espresso cups would be quite a low blow.